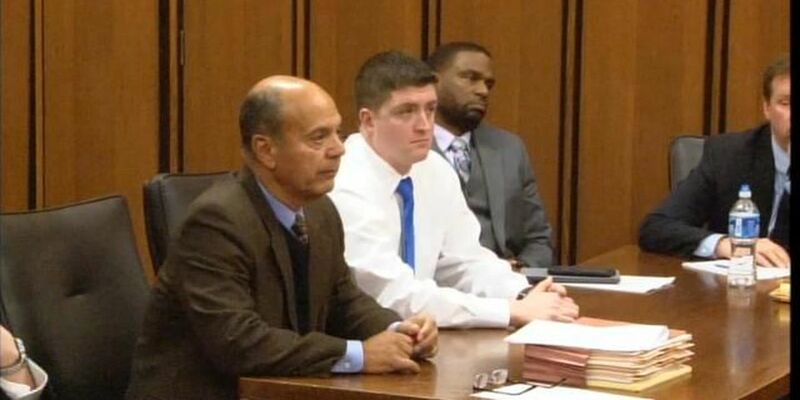 The trial against Cleveland Police Officer Michael Brelo starts Monday, April 6 and already a battle is brewing between the Cuyahoga County Prosecutor's Office and the union representing Office Brelo. Brelo faces two manslaughter charges for his roll in the November 2012 chase and shooting of Malissa Williams and Timothy Russell. At the end of that chase, 137 shots were fired, killing Williams and Russell. Brelo fired 49 of those shots. A new motion filed by Prosecutor Tim McGinty Tuesday is adding fuel to the fire. In the motion, McGinty claims that the officers who witnessed the shots that Williams and Russell have failed to meet with his office for pre-trail meetings. McGinty says the Cleveland Police Patrolman's Association (CPPA) has shown a "continued pattern" to "impede and hinder the investigation and prosecution." McGinty is now asking the judge to order the officers to participate in standard pre-trial meetings. "All his motions have been ridiculous to this point," says Steve Loomis, President of the CPPA. Loomis says his officers will be there to testify when the trial against Michael Brelo begins, but that they have no legal obligations to meet with McGinty beforehand. "Is that all this is, is you're protecting your members?" asked 19 Action News Reporter Dan DeRoos. "We're not protecting anybody. We're letting them know they have no legal obligation to respond to a request to meet," said Loomis. Also in the motion filed Tuesday, McGinty tells the judge, quote, "This defiance by police has never occurred before!" Loomis says what is also rare is the County Prosecutor being the lead on case. "Tim McGinty is a goldfish swimming around in a piranha bowl. And now the onus is on him. Prove your case or sit down and shut up," said Loomis. "Assure the public that this isn't going to be blue standing up for blue, that this is going to be a fair trial?" DeRoos asked Loomis. "Listen, assure the public that McGinty is not using this as some sort of grandstand for his political aspirations. That's the bigger problem that the public needs to deal with," Loomis responded. Click here to read the entire motion filed by the prosecutor's office.